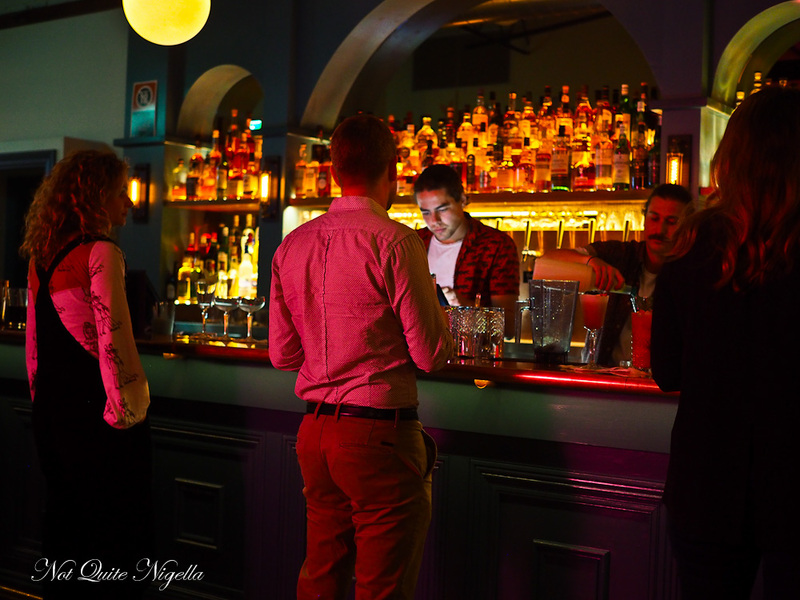 A cute little bar with a distinct retro feel, Misfits is located on George Street in Redfern. 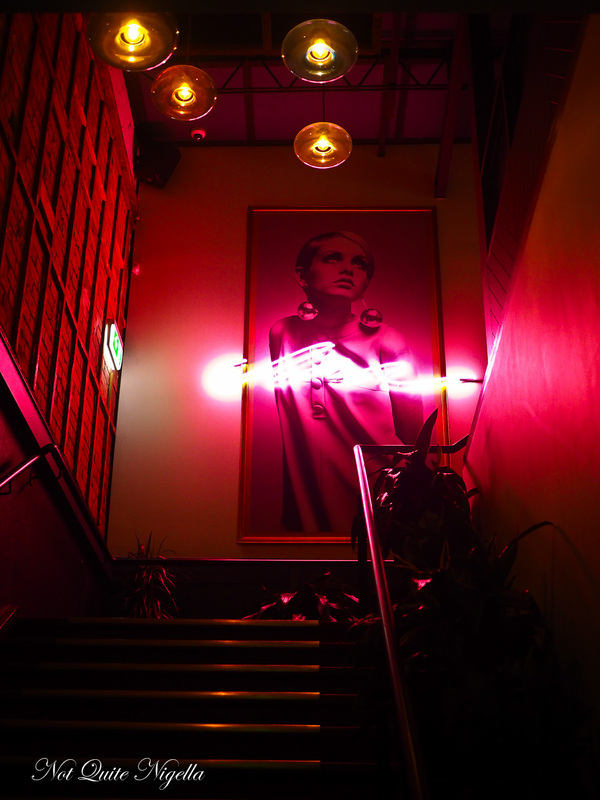 Follow the tiny illuminated pink sign past Twiggy and other retro icons and find your favourite spot. 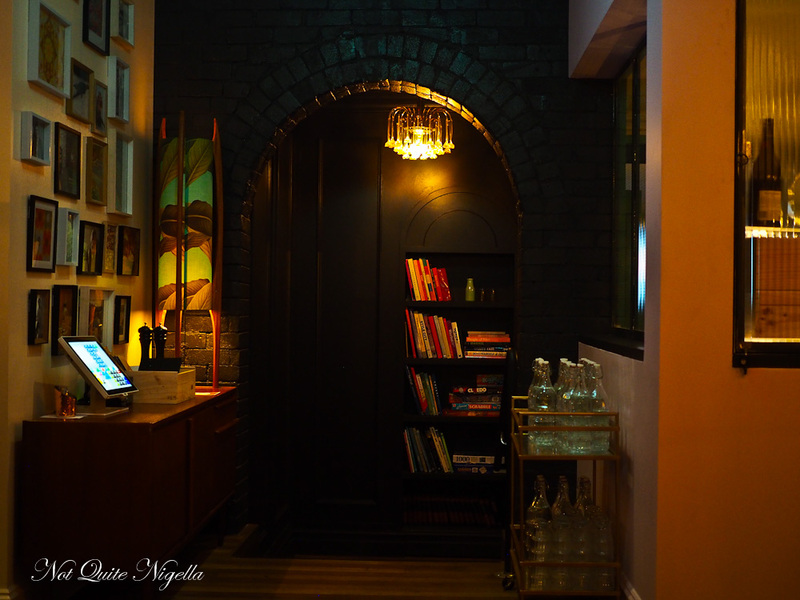 It could be nestled in a booth or a table or even in the secret panel room behind the bookcase! 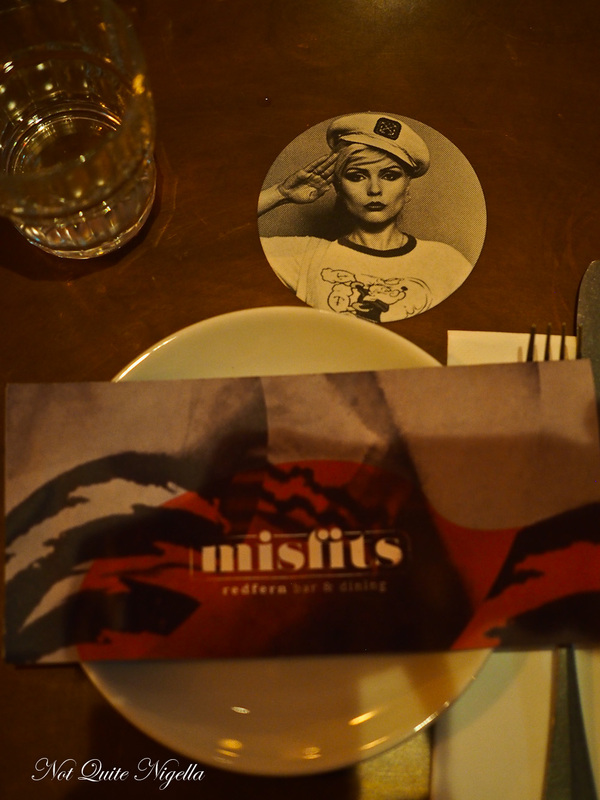 We were visiting Misfits with Queen Viv and Miss America. The restaurant was a deliberate choice. When we all (except Mr NQN) worked together many years ago we used to listen to opera together, go out to dinner, go on picnics and do all sorts of things as a tightly knit group of 4 or 5. A colleague once remarked to Queen Viv that he thought that we were the "cool group" to which Queen Viv laughed and said that we gravitated towards each other because we all considered ourselves misfits more than anything else. First for the bad news: Misfits has some problems with systems. I tried to book online twice and had problems both times with bookings not going through. I had to call and the only time they could squeeze us in was early and we had to vacate the table in 1.5 hours. And once we sit down they call my phone asking when we are coming in and I have to break it to them that we are sitting down in their restaurant. Service is nice from most although our main waitress's manner is not what we expect. She's not rude by any means but just really to the point and businesslike. If anything we expect the service to be charming but disorganised but she's blunt and organised. But what she lacks in smiles she makes up for in solid recommendations. 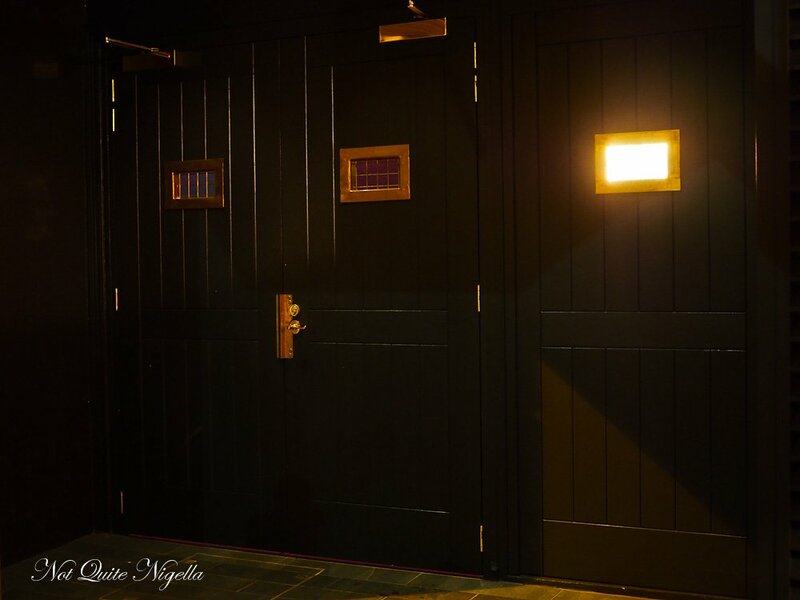 And that's the good news as the menu is full of delicious sounding dishes by chef James Privett. Oh I mentioned the secret bar didn't I? Now there are five different sections at Misfits and one is hidden behind this bookshelf. It's pretty cute with a fireplace although I can smell freshly smoked cigarettes in here so I hightail it out of there after taking some pics. We start with these two cocktails plus glasses of bubbles (not pictured). 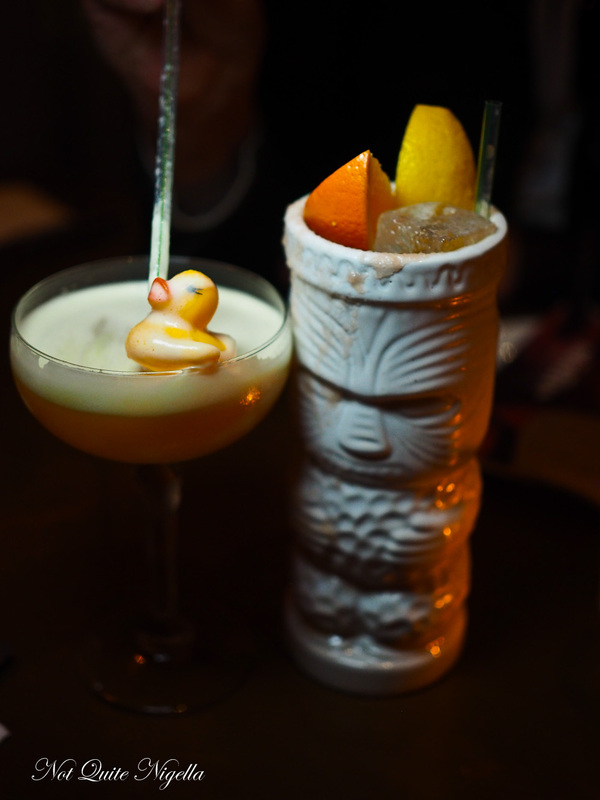 Mine is the Rum & Runner made with Blanco, Havana Club Anejo, Havana Club Anos, Appleton Estate 12 year old, Luxardo, Maraschino liqueur, passionfruit, lime, agave and egg white plus a little rubber ducky on top. Miss America's Gin(ger) for the Whinger is a Havana Club Anos 3 year old, passionfruit, pineapple, lemon and house made ginger beer served in a tiki cup. They're both fantastic but we had to save our little rubber ducky from drowning. 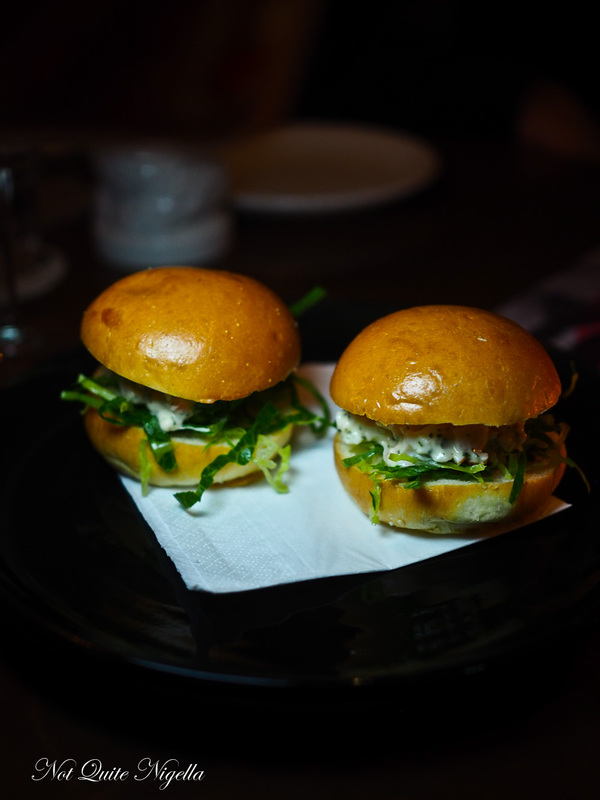 The crab served in soft, light buns with tarragon, mayonnaise and baby gem lettuce. There is just the right amount of crab for these and I immediately want another. I thought that the blue cheese polenta chips would come with a side of blue cheese sauce but the blue cheese looks to be within the polenta chips. They come with a little pot of bacon jam. The polenta chips are nice and crunchy and the sweet salty jam delicious, although it's really more for spreading than dipping. 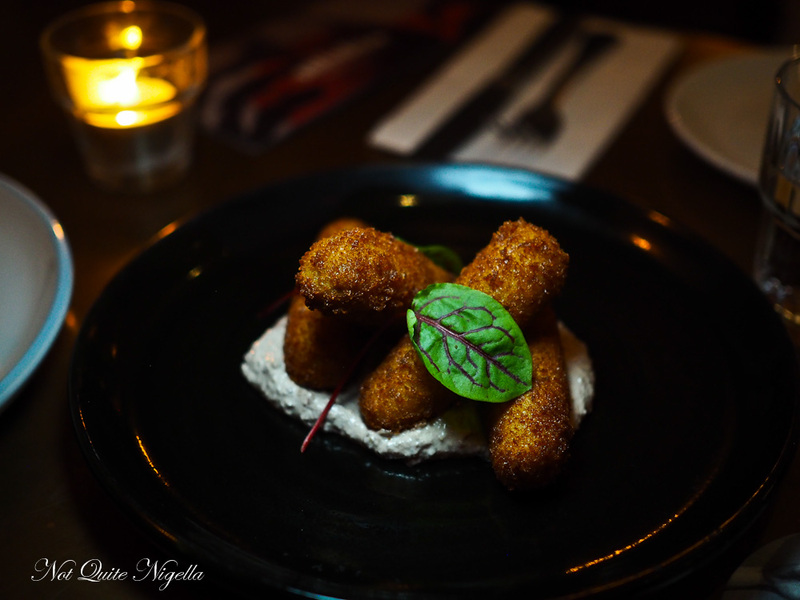 Along with the crab roll I'm also smitten with the confit duck croquettes served on a bed of walnut tarator sauce. 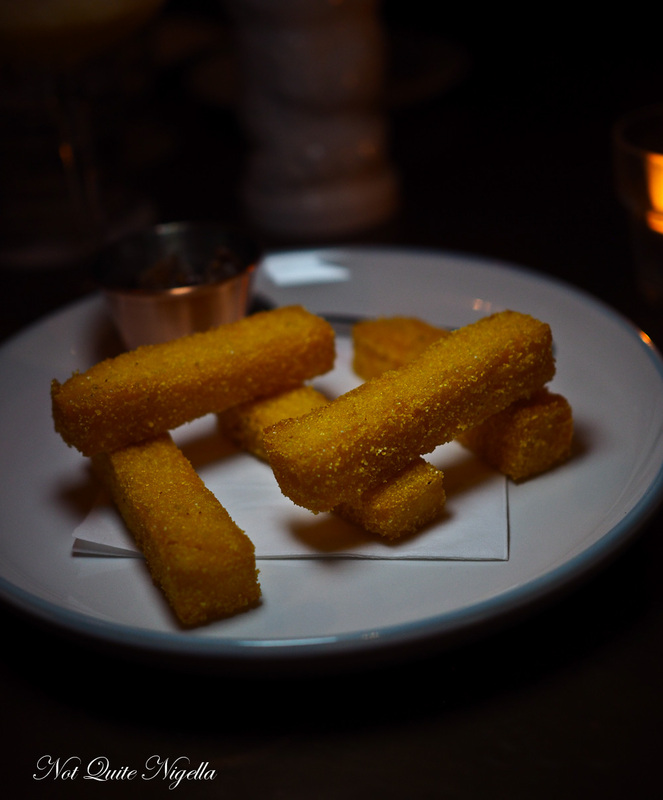 The croquettes taste like a combination of duck and mashed potato and are crunchy on the outside but soft and downy on the inside. I know what Queen Viv will order every time we go out. She'll always order beef tartare if she sees it on a menu. 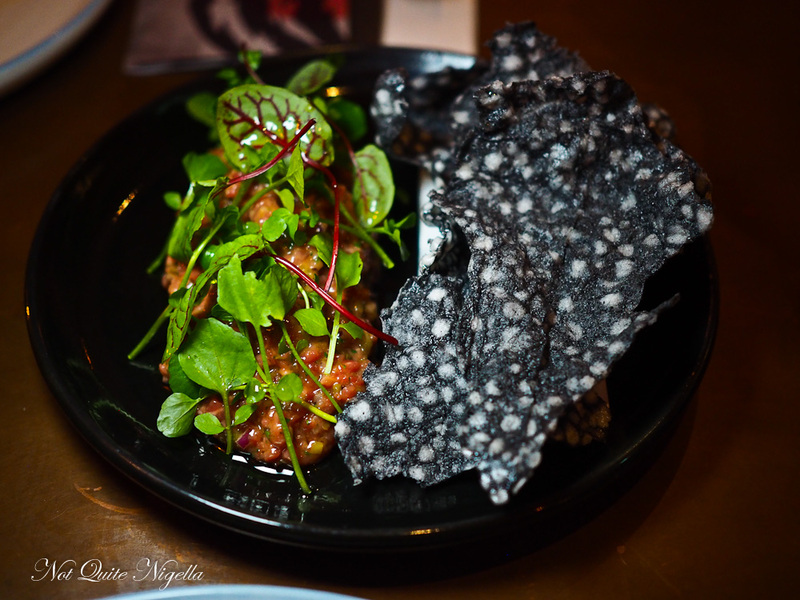 This smoked beef tartare is the large serve. It's a bit oilier than normal and while the charcoal crisps are interesting, there needs to be more punch to the seasoning. Usually there is such a gorgeous combination of the red onion, Tabasco, mustard and seasoning but this feels a bit muted. The Jerusalem artichoke dish is a vegan choice with roasted Jerusalemn artichoke, zucchini, herbed ricotta, celeriac and nori powder. It's a nice combination of robust flavours. While we loved the starters we found that the mains needed a bit of seasoning. The lamb cutlets are beautifully cooked but really need seasoning. 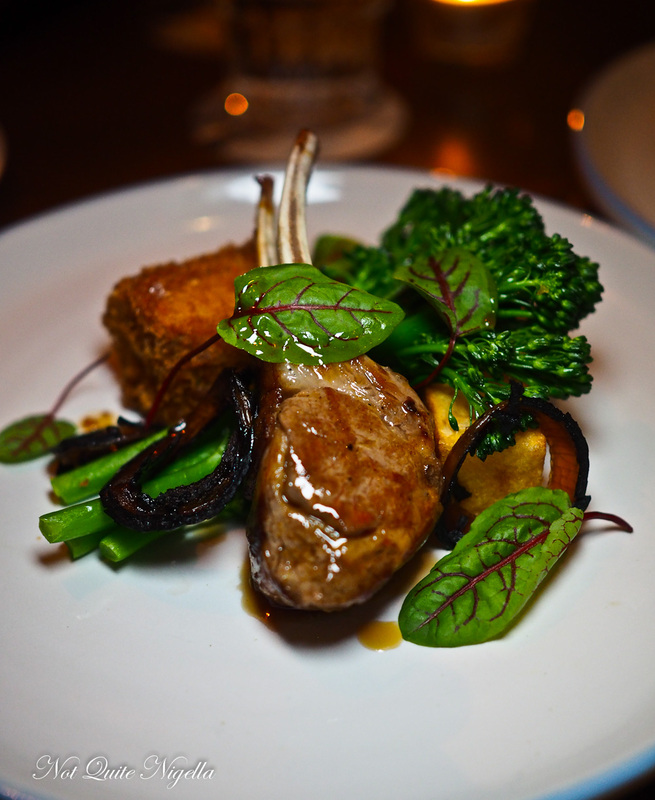 The lamb breast croquette, smoked potato, broccolini and eggplant puree are all good accompaniments to the dish but there was perhaps a flavoursome element missing. 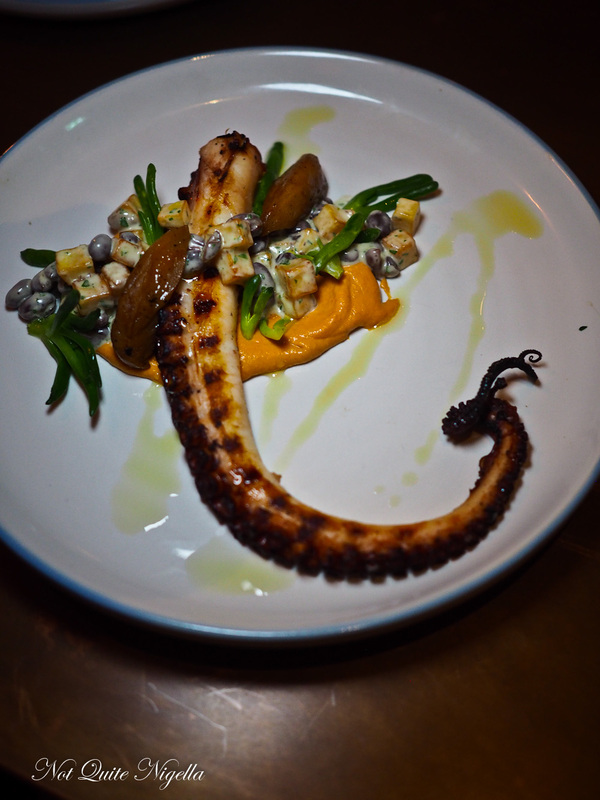 However we all adore the charred octopus with romesco sauce, black bean salad with apples and tiny sea succulents. 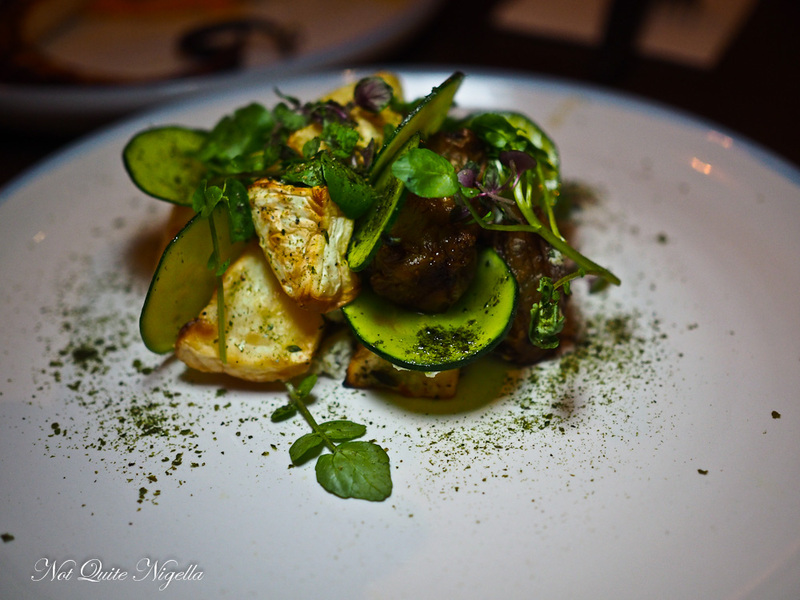 The seasoning and balance of flavours are perfect on this and the octopus is very tender. We scrape the plate for the sauce. Our time is up at the table but they have reserved a booth for us which we are very happy about as we adore booth seating. Maybe it's a primal protective thing but I feel like I can totally relax in a booth where I feel protected, unlike sitting at a chair and table. It's where we end up having dessert. 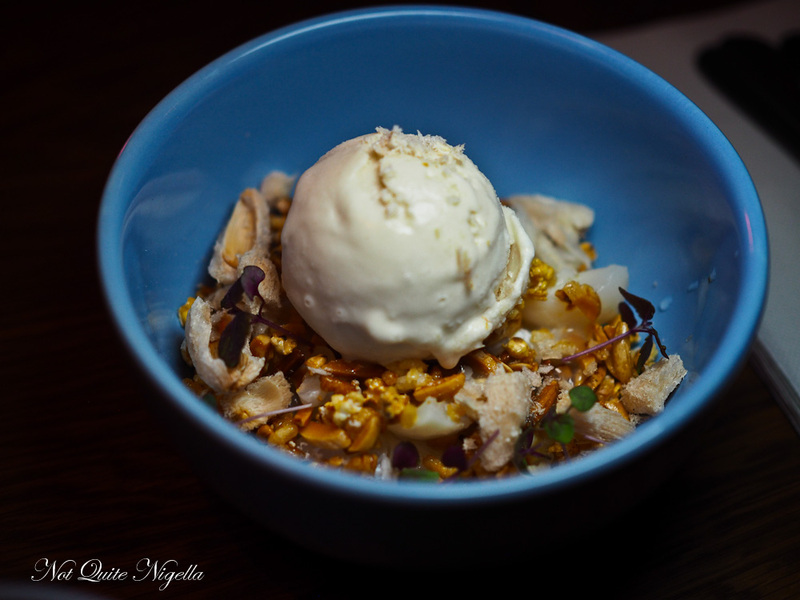 The toasted coconut dessert is all crispy crunchy textures from the toasted coconut but it has halved lychees in it and a scoop of lychee coconut ice cream. 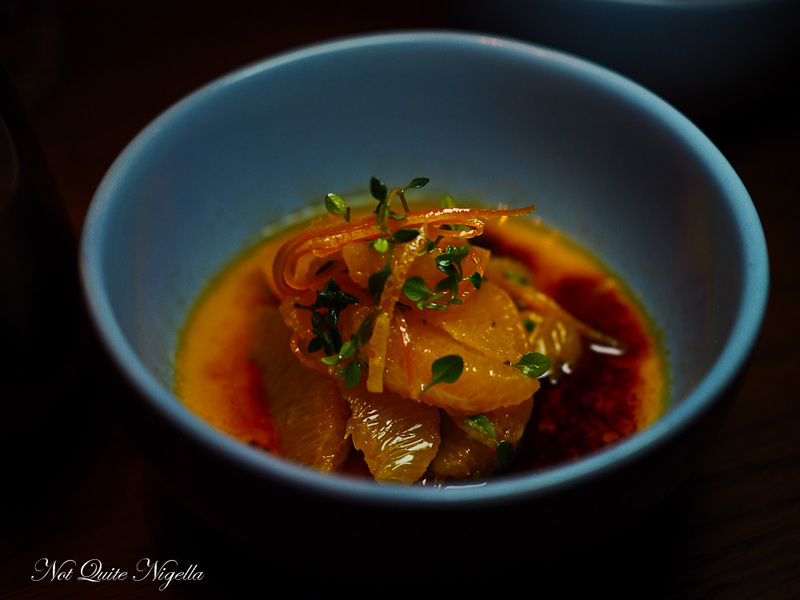 We swoon over the burnt honey cream, a creme brulee with crunchy biscotti and a Grand Marnier orange segment salad. The custard is smooth with the thinnest glassy caramel on top. It's the best note to end the night on. 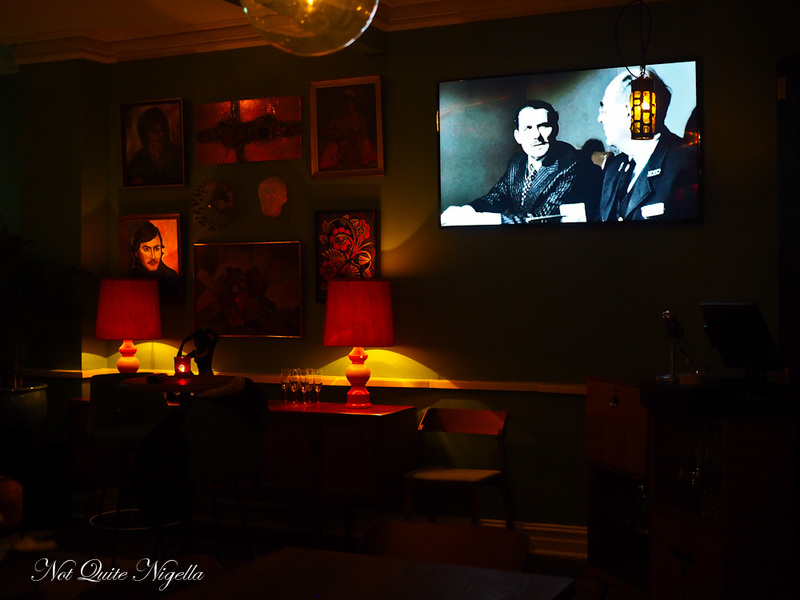 So tell me Dear Reader, do you prefer booth or table and chair seating and why? 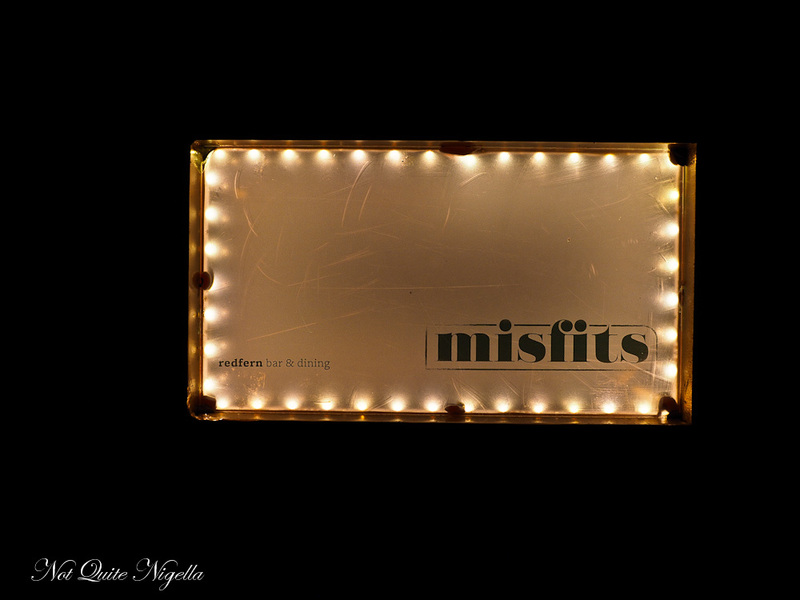 Do you think you are a misfit or part of the cool group? restaurantWho is Bart Jr, Redfern?